One of the early settlers to the Little Valley area was James Stratton and his wife Betsy (Wheeler). About 1836 they purchased 100 acres in Little Valley Center. The Strattons were parents to six children. Son, Lorenzo married Sophia (Hill) and had been in the west before purchasing land in New York. By the spring of 1853 he had acquired a pair of elk, one male, one female through a trade with agents of a Western Fur Company. Lorenzo and wife Sophia acquired a substantial piece of land in Little Valley Center. 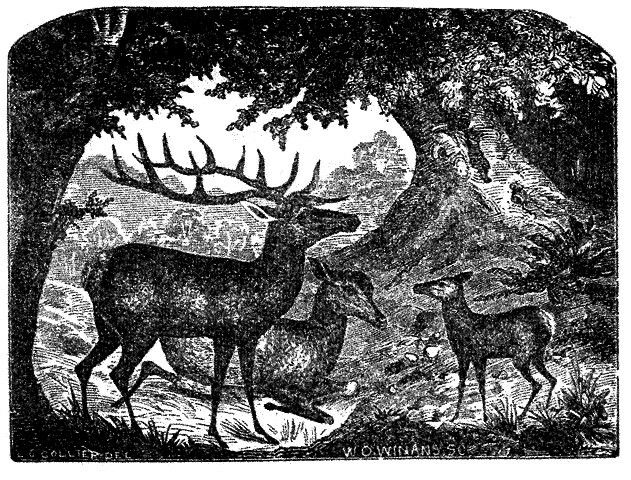 In an account Lorenzo had written in 1857, he realized there were diminishing numbers of elk throughout the states. 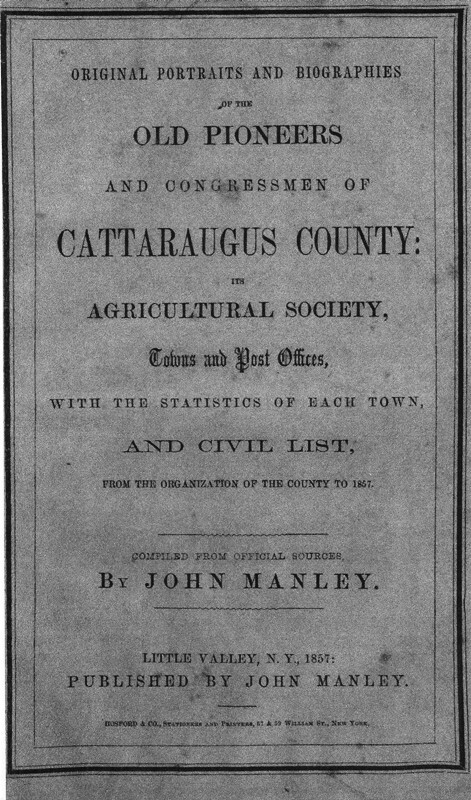 He had also become aware of a document that was a call on the government to procure, domesticate and restock certain portions of land in New York, Pennsylvania and other states which were not suitable for agricultural purposes. Stratton wrote, " It readily occurred to me that I might indulge my fancy in this business with a fair prospect of a handsome remuneration." At various times he purchased three more elk. He prepared a pasture for them enclosing 125 acres of well fenced woodland. The animals seemed to thrive and were pleased with Lorenzo's visits three or four times a week. He carried a pocket of corn, oats or in the summer time clover heads which they enjoyed. In this manner the animals came to him when he approached. His herd increased from five to ten. Later it was noted that his herd had expanded to over 20. It has been written that he harnessed the elk and drove the team to the fairgrounds in Little Valley several times. He had successfully domesticated the elk. Mr. Stratton engaged in working with the elk from 1853 and it appears this continued until nd his wife sold the property in 1868 and moved to Tennessee. Several stories regarding the elk endure. However evidence of their fate is unknown: did they restock the forest as was the original intent? Or as one account states a pair was sold to a man from Canada who presented them to the Queen of England and another story conveys that a pair of the elk were sold to the King of Italy. Whatever the true fate of the elk remains unknown creating many a story. The elk however left their print on the area. Once known as Little Valley Center after the arrival of the elk the name changed to Elkdale, New York.